Website builders make the internet accessible. Because of website building software, anyone can build a professional looking site without any coding knowledge. While choice is always good, how do you find the best website builders when there are so many? Also, if this is your first website, you may be overwhelmed by the whole process. In this post, we’ll learn if you’re ready and able to build a site on your own with a website builder. We’ll also cover the best free website builders to fit into a tight budget. Finally, we’ll profile 10 popular builders so you can learn all about alternatives to expensive web designers. Before we profile different apps, let’s start with the basics. A website builder is software that acts like a website building wizard. It filters the information in a way that is easier for most people to understand. Without a website builder, creating something online that resembles the websites you’re used to requires coding knowledge. That’s where a web designer comes in. Designers use mock-ups called wireframes and a number of other industry design tools to create a template for your site. Once you approve it, the designer develops it themselves or passes it along to someone to code the site into being. While that is a wonderful option, starting a business is an expensive venture. Profits often don’t come instantly rolling in. If you’re pinching your pennies, a website builder is much more economical. It also may be all you need. Every website builder is a bit different, but they follow the same basic formula. They look like layered forms that you fill out as you go. Many let you preview your changes in real time. This makes it easy to implement design changes even if you’re not familiar with what each part of the site is called. In fact, because of the real-time updating, website builders end up teaching you more about web building as well as creating your site. You can always go back into your dashboard to change things later. You can also add features, sliders, opt-in forms, and a number of other tools to your site as you grow. While a designer will custom create your website for you, a website builder is cheaper and gives you total control at your skill level. There’s no awkward conversations with your designer where you try to explain what you envision. The best website builders can set up eCommerce systems or links to third party systems like Shopify. They are also optimized in design which means a team of experts set up the program to create visually appealing websites with very little trial and error. Furthermore, website builders guarantee a user-friendly experience for your customers or visitors. There isn’t any guesswork on your side. Remember, design isn’t only about how something looks. It is also about how it functions. As you can see, website builders deliver functionality and flair. You probably need a web designer instead of a website builder if you have unique requirements or a special vision for your website. If you want your site to stand out as different from anything anyone has ever seen before, or need many specialized features that relate to your business. You might also need a designer if your website is very technical, such as cyber security firms who need their clients to be able to transmit files to them securely via a web portal. Many website builders come as part of the package of service you receive when you purchase a domain name. In this case, they are technically free or more accurately, you paid for them along with your domain. Still other website builders are completely free, such as the WordPress.com platform’s sites. Blogger and Google Sites are also free, blog style websites that have web builders. Some of the website builders on our list of the best website builders do charge for their service. Some of these charges are monthly while some are a one-time fee. A detailed summary of the cost of each of the best website builders is included in their respective sections below. In general, a new or small business can utilize a website builder to create a functional, well-designed website for a mere fraction of the cost of a designer. Bold Grid has drag and drop functionality and works seamlessly with WordPress. Simply pick an ‘inspiration’ and edit it from the font to the number of menus. Bold Grid works like an addition to the WordPress website builder, so you get the best of both worlds. 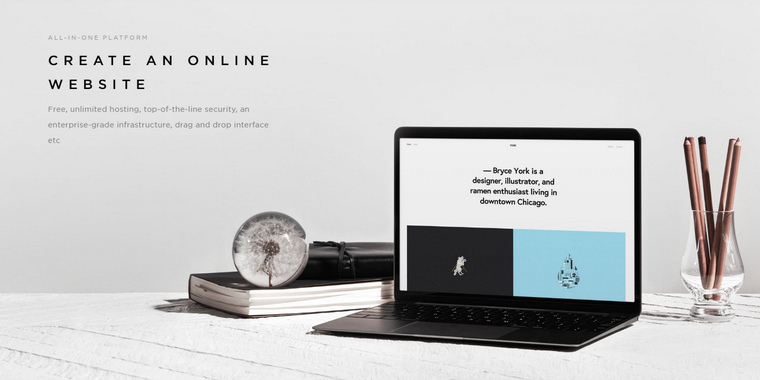 Bold Grid creates professional looking results so you can easily build a website you’re proud of. Tack on any plug-ins you need for additional functional features like ways to build your email list, quizzes and forms, and even list management. To sign up to use Bold Grid, you must supply a Connect Key related to your hosting package. WordPress has two separate entities in the online space: their .com and their .org. Free WordPress sites reside in the .com area and are great for simple sites, but have limited functionality professionally. In order to monetize your website with ads or link it to eCommerce platforms, you’ll need to pay for a WordPress.org site. If you deal directly with WordPress, you’ll pay slightly more for hosting, but save time. No matter which WordPress system you use, there is a free website builder included. 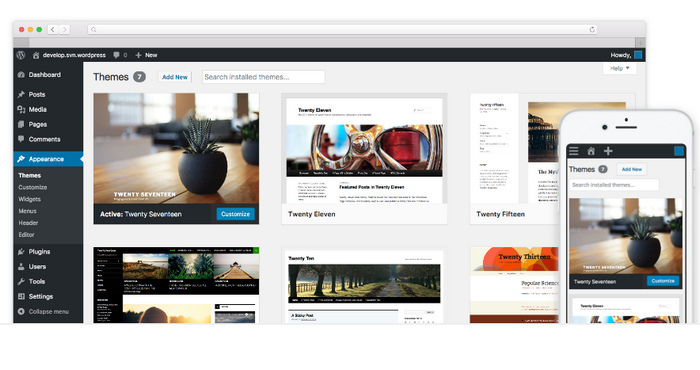 WordPress offers an endless number of Themes to choose from which are essentially design templates. You can manipulate many individual aspects of the site design after selecting your initial theme. Many themes are free, while some vary in price. There are a massive number of plug-ins that work with WordPress to enhance your marketing and your visitors’ experience. Choose any that appear to you though WordPress itself and activate them to start using them. Examples of popular plug-ins include Pay with A Tweet or MailChimp. To clarify for beginners, WordPress has their own web building system which you can use, detailed above. There are also additional third-party website builders that integrate to WordPress like Bold Grid or Elementor. Elementor particularly addresses some of the common complaints designers have with website builders, such as slow responsiveness, more customization, and code output that looks like conventional hard-coded methods. Before Elementor, the code of sites built with website builders was odd and clunky. This could be hard for designers and developers to work with later if they needed to hard code changes. Consequently, Elementor delivers instant drag and drop, DIY website design for small business and bloggers. The code output is clean so developers can manipulate it later and it plays nicely with the WordPress codebase and any plug-ins you’ve chosen. Download Elementor for free to see it in action. 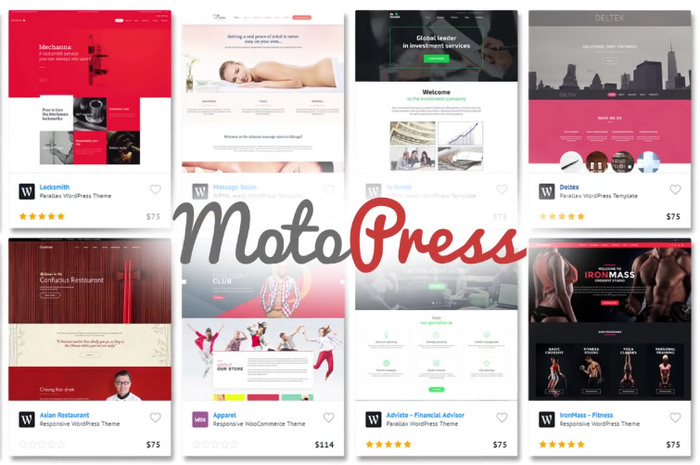 MotoPress makes building a robust website using easy drag and drop interface. There are so many potential features to this site we need a list to sufficiently illustrate them. Frontend editing means you can see the page in real time with all changes you make. If you like it, just publish and now the world can see it too. There are several pre-designed layout templates to pick from. You can add more custom content thereafter. The Style Builder allows you to change styles of any element with a user-friendly toolkit that keeps things simple. Choose from several Google fonts for branded, easy to read content. See how your site will look on a desktop, mobile phone, or tablet right from your design dashboard. WooCommerce integration for your eCommerce presence. Customize even further with the same front end editing on your store pages as the rest of your site. Add-ons to bring additional features to you and your visitors. 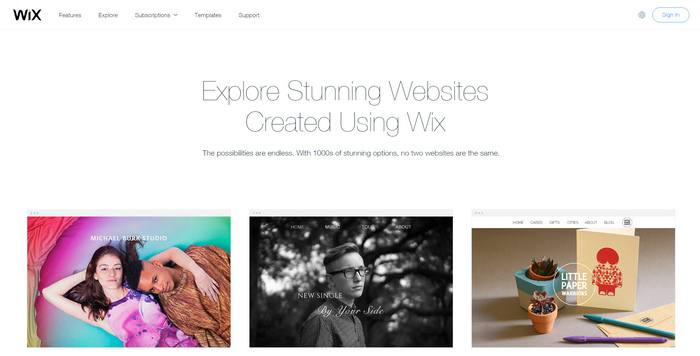 Wix is well known in the website builder space for easily creating high-tech looking pages with little effort. The templates are varied and highly customizable allowing for a lot of your personal creativity. 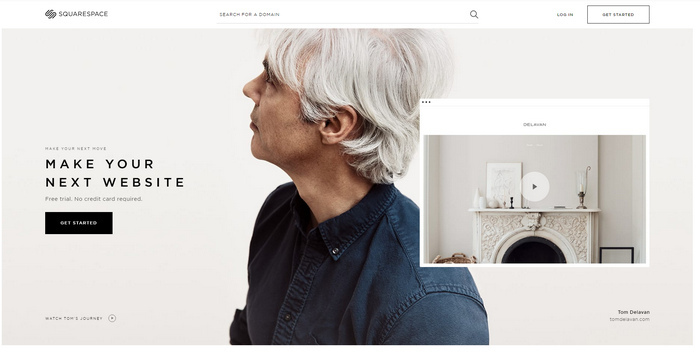 With easy drag and drop functions and templates created by expert designers, Wix makes stunning galleries, SEO friendly online spaces completely optimized for mobile viewing. Wix websites are beautiful and the price tag of free is always affordable. Weebly is a great way to build an eCommerce site on a budget. The Starter package also allows Google Ads as a way to make extra money on web traffic. 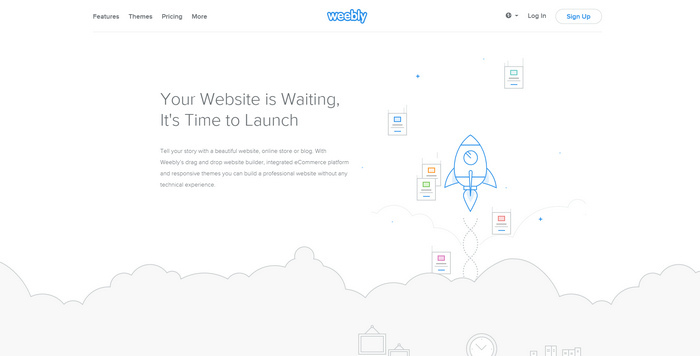 Like the other best website builders we’re including, Weebly is easy to use with drag and drop customization. No tech experience is necessary to create a beautiful website, blog, or storefront. Squarespace has big brand recognition among website builders because the service is solid and the design templates and features are robust. It’s easy to build a site without coding and a free custom domain comes with your monthly cost. The builder supports eCommerce, is SSL secured, and you have access to the analytics you need to grow your online authority. 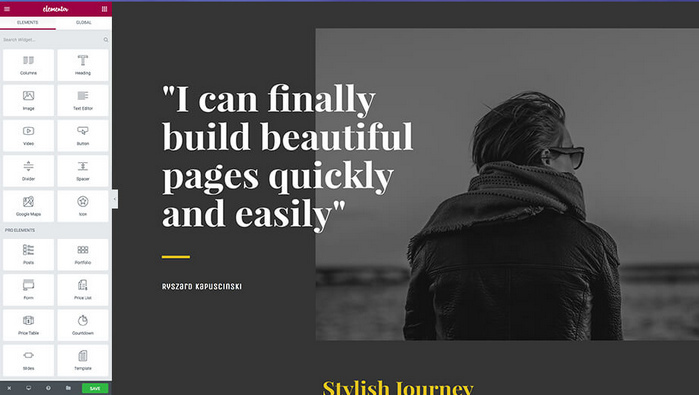 Any of these best free website builders will suit the needs of a variety of businesses, but MotoPress has the most diverse and easy to use functionality and design options. It does cost a small fee, however. If your budget is too tight for MotoPress, Build Grid is an excellent runner up in the best website builders. Play around with your design! If you make a mistake, it’s easy to change everything back. You’ll soon have a website you are proud of that you designed yourself.